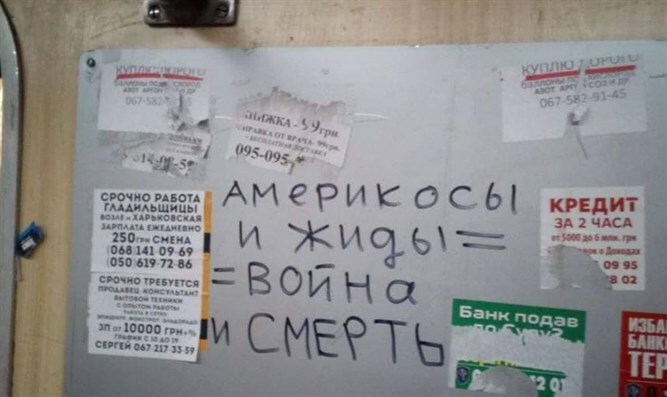 Kiev – On the train of Kiev, over one of the doors crossing between the two wagons, was written in recent days the inscription “Jew? Kill!”. According to Eduard Dolinsky, chairman of the Kiev Jewish Committee, the police said she was examining closed-circuit camera photographs to locate the writer. 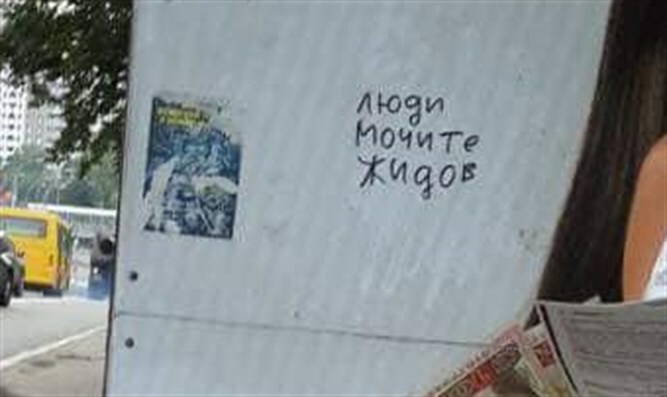 Pavel Zeldic, a Jew living in Kiev, photographed the inscription. Zelditch takes pictures of them from time to time. Another place on the train reads: “Americans and Jews = War and Death” and on the wall of a building in the city reads: “People – Kill the Jews.” The photographs were taken during the past week, according to Zelditch. Zeldic, 28, said there were always many such addresses in Kiev, but after the 2014 revolution they multiplied.